That was sort of by accident. I really wanted the mount for my 5″ reflector, because it’s a bit too heavy for my current mount and tripod. Orion sells that mount as the VersaGo II for $199, but right now OPT has the SkyWatcher-branded version of that mount, the AZ4, and a nice 80mm refractor with finder and eyepieces for the same price. So by going through OPT I essentially got the scope and accessories for free. I originally planned on selling off the scope, but I keep hearing about people falling in love with the crisp views through refractors (which unlike reflectors and catadioptric scopes have no central obstruction), so I decided I’d give this one a fair shake before I got rid of it. I’m glad I did. It’s a keeper–it has very sharp optics, gives a nice, clean, contrasty image, and is very fun and easy to use. It doesn’t pull down as much light as my bigger scopes, but it’s easier to handle and it cools down in no time, which is a big plus at this time of year. (One of the biggest sources of image distortion at the eyepiece is heat waves coming off lenses and mirrors that haven’t reached ambient temperature.) Frequent commenter David DeLano has this scope as well, and he warned me that if I wanted to sell it, I shouldn’t look through it, because I’d get hooked. You called that one right, David! I gave it a name, too. Some people name their scopes and some people don’t. I also talk to myself and to inanimate objects when I’m alone, and I suspect that those traits are highly correlated with naming scopes. Anyway, there’s a bit of back story behind this one. When I was a kid, my cousin Michael had a good friend, also named Michael, who was quite a bit taller than he was. They felt dumb calling each other by their own name, so my cousin Michael dubbed the taller one “Shorty Long”, and tall Michael retaliated by calling my cousin “Stubby Fats”. That’s never ceased to crack me up. And now I’ve got two shiny black SkyWatcher scopes that will be sharing a mount, one a long skinny refractor and the other a short fat reflector, so it made sense to name them Shorty Long and Stubby Fats. With the moon and Jupiter both high and bright in the evenings this week, it didn’t pay to go after fainter fare, and I hadn’t put in any serious time on the moon in a long time. One of the nostril peaks was too dim to show up even in the LTVT shot, but other than that the face looks pretty much like what I saw Tuesday night. There is even a suggestion of eyebrows. The peaks turn out to be the aptly named Harbinger Mountains. I asked around on Cloudy Nights and no one has reported seeing the Cheshire Cat “lunarism” before. I’m going to do a little more research on the features involved and report back. I had basically just gotten set up when I saw a small, perfectly round object float by in front of the moon. I figured it was probably either a weather balloon or a satellite. Turns out that a CN user got video of the thing; the video is now on YouTube, here. It’s probably a satellite; another CN user got video of a similar thing flying in front of the sun, and reports seeing them on a regular basis. So don’t get out your tinfoil hats just yet. 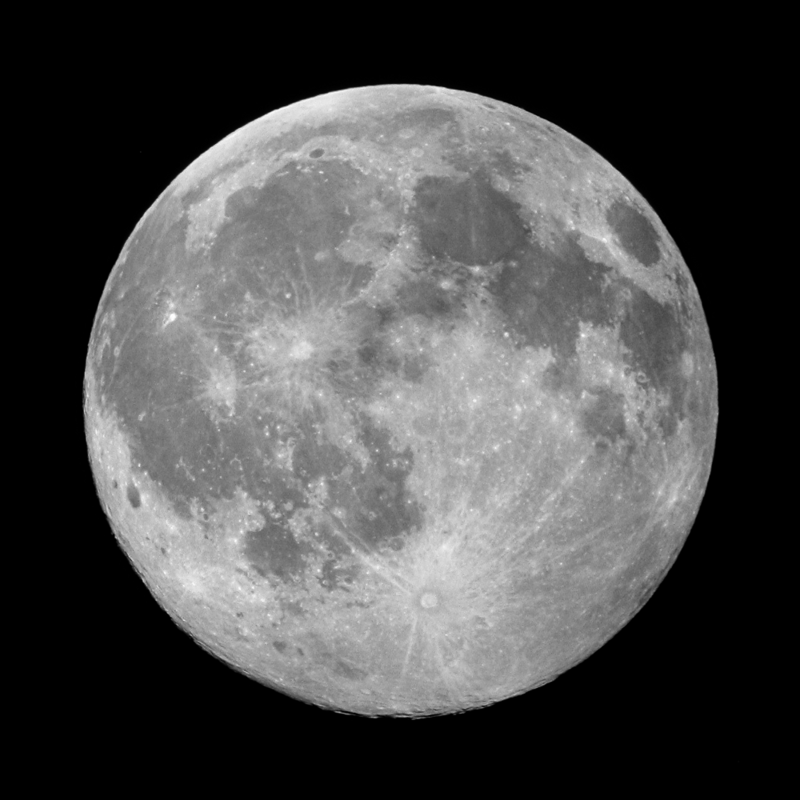 But do get out and have a look at the moon when you get a chance. As this week has shown, you never know what you might find, even with this closest and most familiar of celestial objects. Sounds like a nice little scope you got there. Love the moon photos, never heard or seen of the Cheshire Cat image though, where on the moon did you see this? 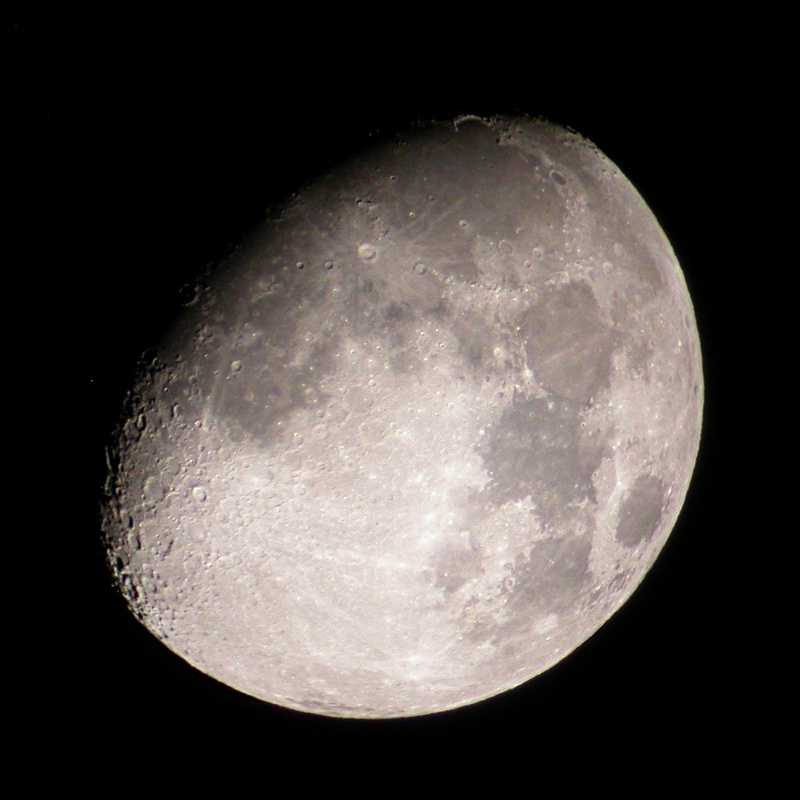 In my 2 month into astronomy I’ve only briefly glanced at the moon and taken a couple snap shots of it. I need to spend more time with our moon, it really is amazing. Great blog, hope you get back into writing more astronomy stuff. Always a great interesting read. In the process of converting my personal blog into one more about astronomy than anything else. Sorry for the loooong delay in replying. 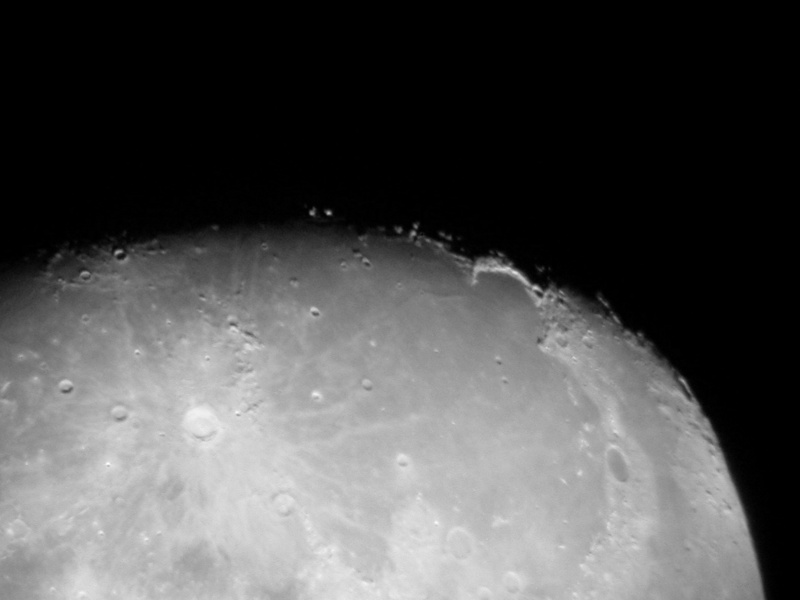 If you look at the first two moon photos, you can see that the second one showing the “eyes” of the Cheshire Cat is a zoom-in to the area just west of Sinus Iridium in Mare Imbrium. Thanks for the kind words. I also went through a phase of converting my personal blog into that was more about astronomy than anything else–until eventually I decided I needed a dedicated astronomy blog. Beware, the same fate might overtake you! 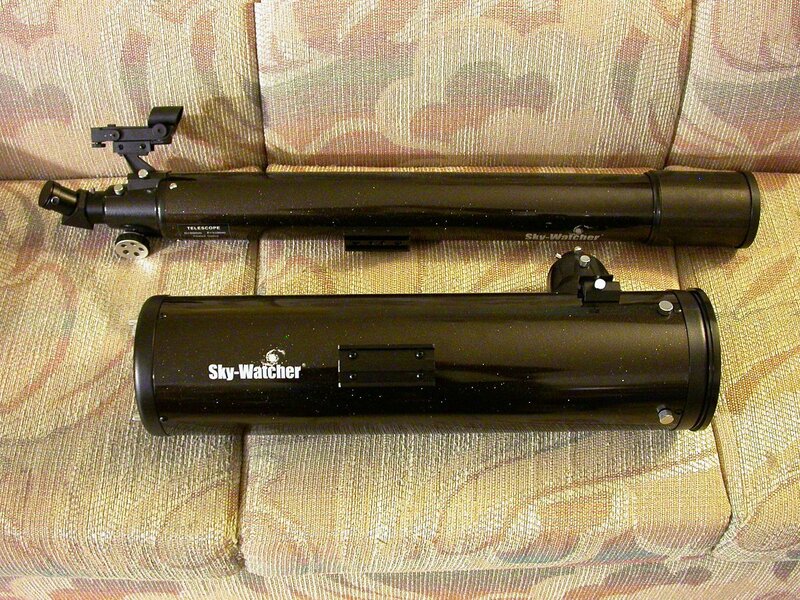 I also ordered the Skywatcher AZ-4 mount separately for $199. Didn’t know they were still available in the States. 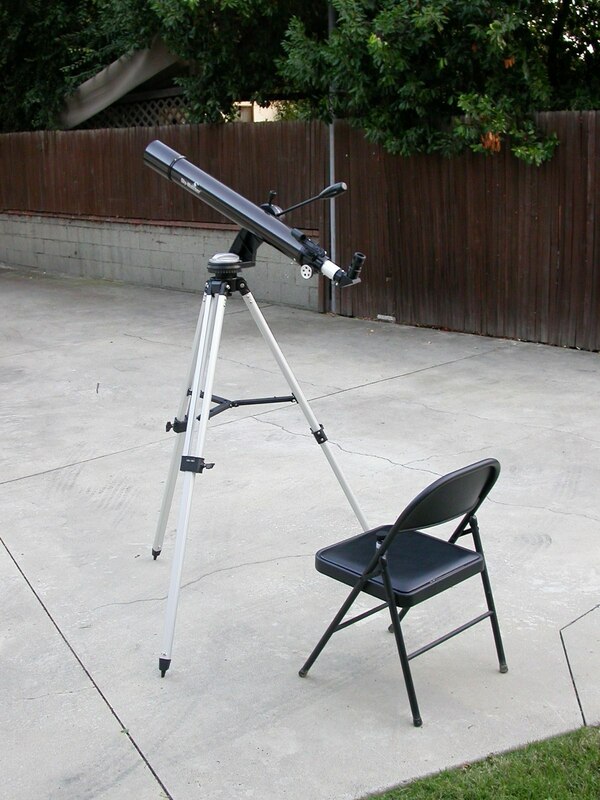 Regarding the Skywatcher AZ-4 mount, Celestron cancelled my order – none were actually available. This offer seemed suspicious from the start, since Skywatcher had a fire sale on all their lower-end products 2-3 years ago, as Matt documented on a couple of his blogs.